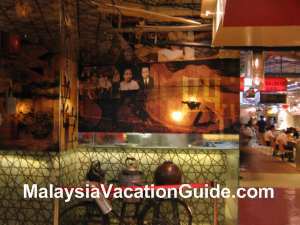 If you are heading to or coming back from Genting Highlands, why not use the old trunk road instead of the Karak Highway and stop by this town to try the famous food here. This town is about 45 minutes to 1 hour away from Petaling Jaya using the trunk road. 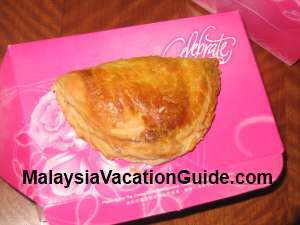 You will pass by Rawang and Serendah towns before reaching here. 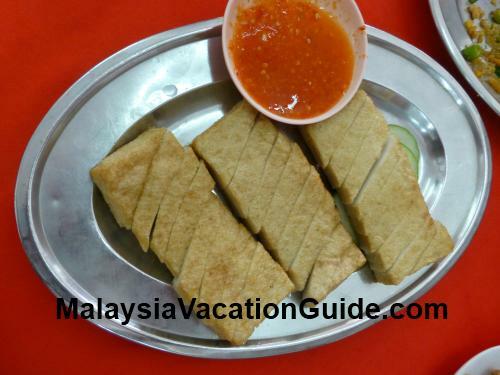 Due to the popularity of Loh Mee here, there are many shops that are offering this Chinese cuisine. 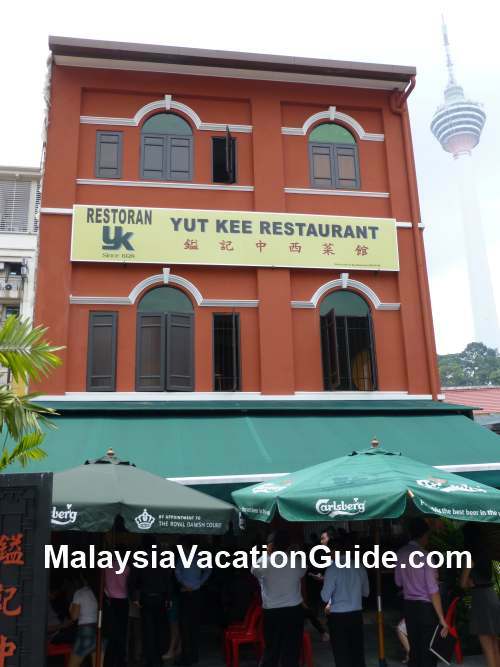 The famous restaurant is Hock Choon Kee Kedai Kopi & Makanan which is said to be the originator of this dish. 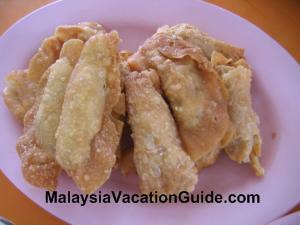 The address of this restaurant is 22, Jalan Besar, Ulu Yam Lama, 44300 Batang Kali, Selangor. Tel: 012-676 8380. 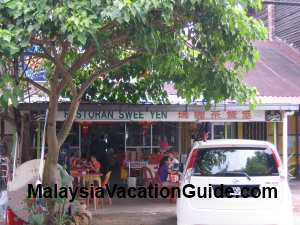 One of the shops that you can also try is Swee Yen Restaurant which is located just after a Chinese primary school called Choong Chee School. 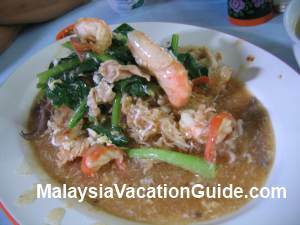 The loh mee is cooked using vinegar in thick gravy sauce together with vegetables, meat and pork lard. 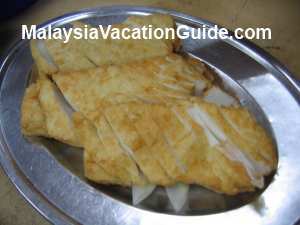 If you are alright with vinegar, you will probably like this signature dish of the town else settle for other dishes. One idea is to order smaller portion and try out. One person serving will cost about RM6. 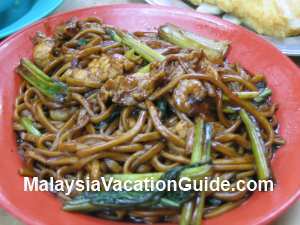 Children may prefer to eat the Hokkien Mee which also costs RM6 for one person. 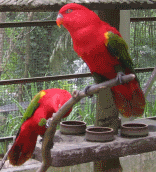 You can share the food as the serving is quite big. The other dish you can try is the fish cake. 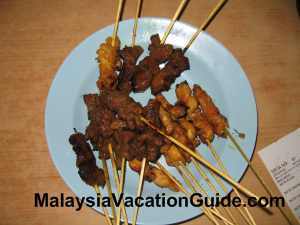 A regular size costs RM12 per plate. If you are into clams, this shop does offer clams whenever they are available. The recommended drinks are carrot milk and honey lemon. A bottle of carrot milk costs RM5 and a jug of honey lemon costs RM12. Loh Mee with thick gravy and vineger. 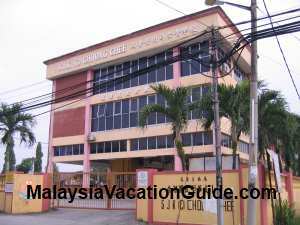 You will pass by Choong Chee Chinese School before reaching here. 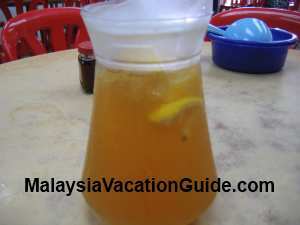 A jug of honey lemon drink. The Chinese School that you will pass before reaching here. 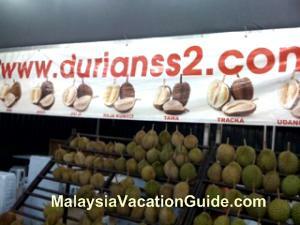 Plan also to visit the Batu Dam and Recreational Forest at Ulu Yam.